On the heels of a comeback win by the New York Yankees last night, positive momentum is finally in our favor. Today I’m making a pair of picks that I normally wouldn’t. I am taking the under in the Kansas City Royals & Baltimore Orioles game, currently the line is sitting at O/U 9 runs (-105). 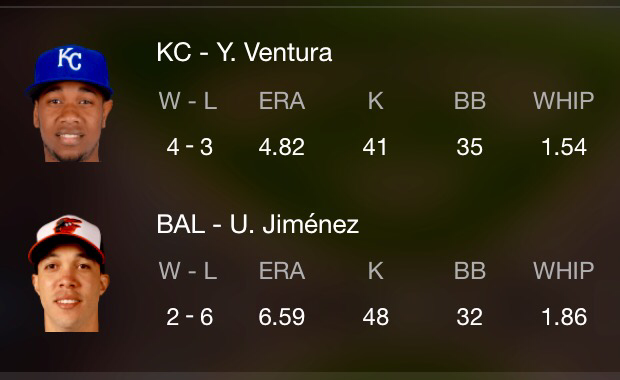 Yordano Ventura has Baltimore’s number, with a career 4-1 record and an earned run average (“ERA”) below 2.00. On the Orioles side, I look for Ubaldo Jimenez to have a quality start. I watched him pitch last week versus the best lineup in baseball (Boston Red Sox) and Jimenez looked very sharp and deceptive until the 6th inning. Jiminez is due for a good start and I believe he will give the O’s one tonight. 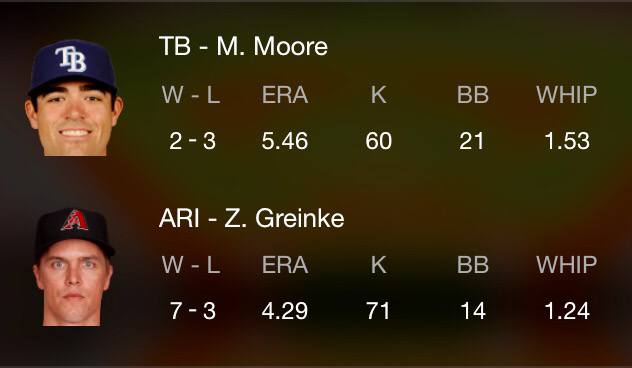 I’m also taking Zack Greinke and the Arizona Diamondbacks at home versus the Tampa Bay Rays. Greinke is 4-0 in his last four starts and carries a career 3.42 ERA against Tampa Bay. With Greinke’s ability to locate four different pitches, it makes it extremely difficult for opposing batters to square up his pitches when he’s pounding the zone. The moneyline is a bit pricey (-180) but I see them winning this game behind their ace.